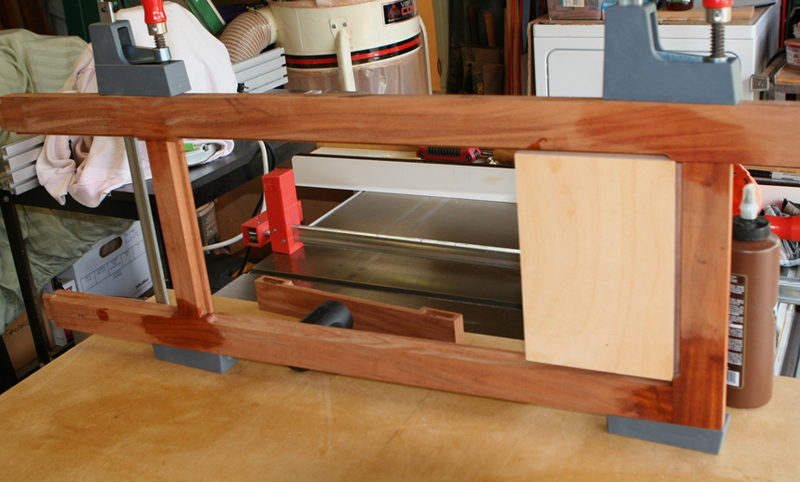 Many mortises are made with a router which creates rounded ends. 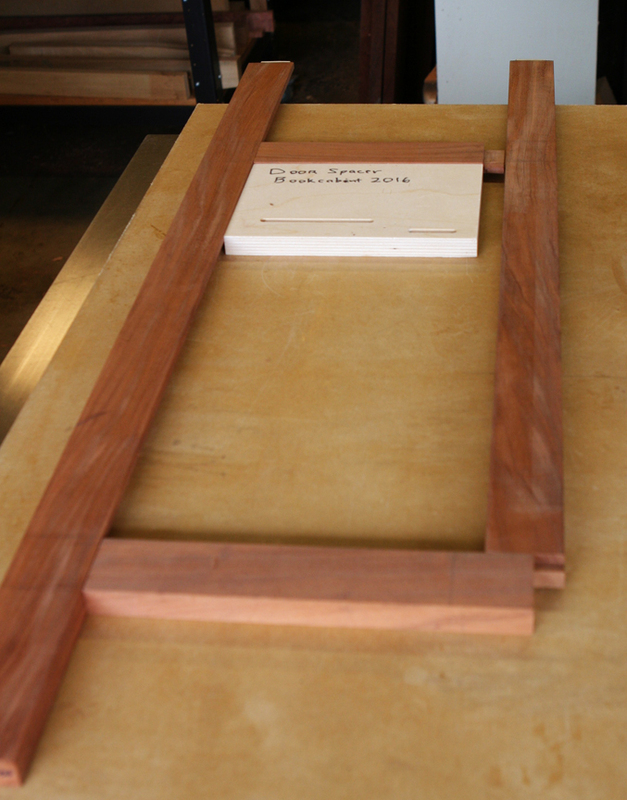 Tenons cut using power equipment and/or hand saws create squared ends. The options are to square up the mortises with a chisel or round over the tenons using rasp and chisel. Or buy yourself a Festool Domino. The last option is not for me. So, which option do I choose? Depends. Mostly on the mood as I find each approach takes about the same amount of effort, skill and time. I use either approach without pondering the implications…until my latest build, a book cabinet. 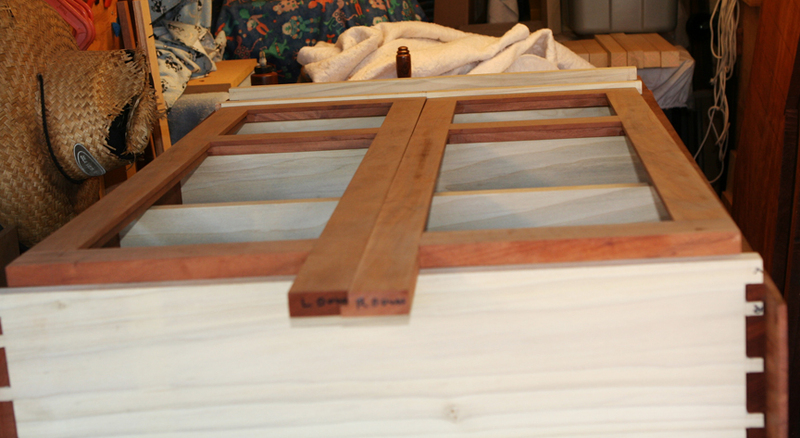 The doors have rather unusual joinery (or more like unusual combinations) which make sequencing for glue up significant. Note the sliding dovetail lower right of this door. Fun. With all this asymmetry and my own humanity, the joints closed up nicely and it looked pretty good … BUT … things were not quite perpendicular where I wished them to be. I was shocked at how many of the joints needed tweaking. Fix one joint and it impacts another. Being a woodworker who has had to “fix” a mortise and tenon joint before this was not a big deal. But, wait, square mortise and tenons allow you to cut/patch either the mortise or the tenon without too much creativity. 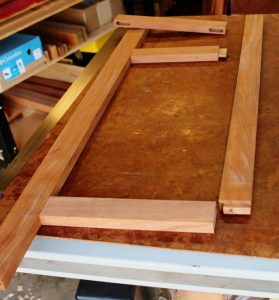 Altering rounded mortises and tenons, as I used this time, are not so straightforward. 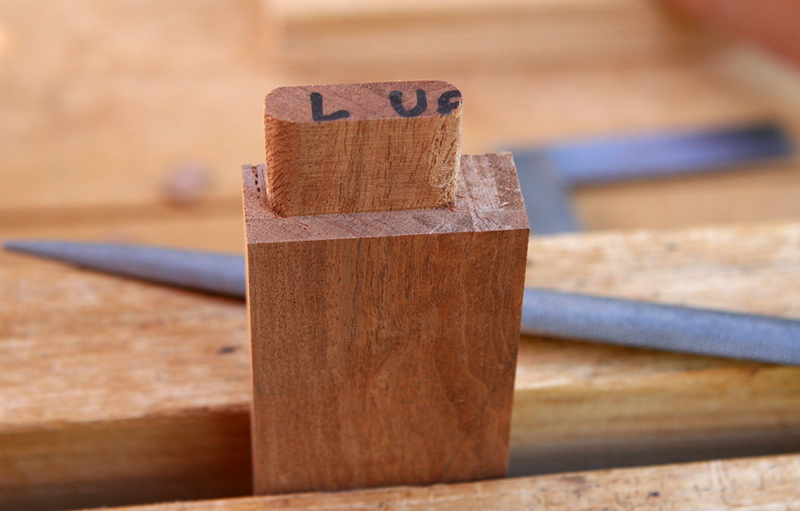 So when you know you going to mess up, perhaps square joinery has an advantage over rounded. This discovery may not alter my future decisions, but the next time I am bitten by the need to alter a rounded M&T joint, I shall think of this blog post, shake my head and go have a drink.